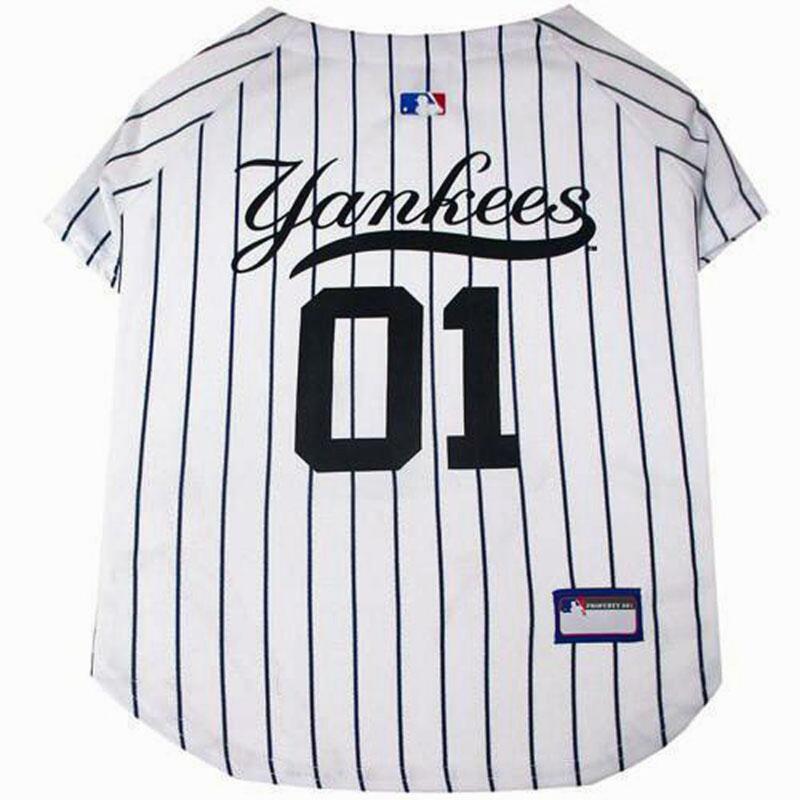 Offically licensed New York Yankees Dog Jerseys. 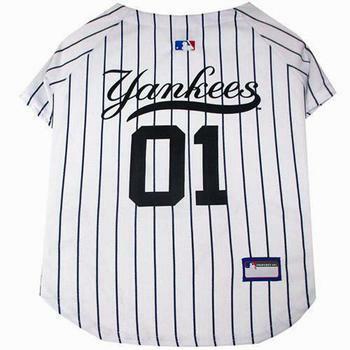 This jersey has screen printed team logo, numbers, contrast stitching and woven jock tag. 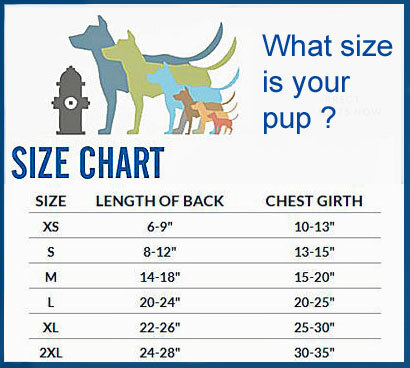 The dog jerseys are made and designed especially for pets. Not only will your dog think its comfortable, you will think its adorable on your furry friend. Pull out the snacks, treats, and balls because its going to be a great game.